Let God Brothers and Sisters, Inc., Championship Moving Company, take the work and stress out of your move. We are a locally owned and operated company serving home and business customers throughout the Dallas-Fort Worth Metroplex. 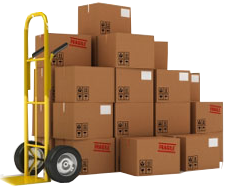 Our company is committed to providing each and every customer with a quality, stress-free move. Our employees take care of all the details and strive to get each and every move done in a quick and efficient manner. Our movers are experienced, honest, and polite professionals who work hard for every customer. They will treat your possessions and property like their own. Moving can be very stressful so why not let us do all the work? Our movers take great pride in carefully preparing, packing, labeling, and moving our customers' possessions. Prefer to do your own packing? We can provide you with the right supplies to get your possessions moved safely. Relax while we do the work! We guarantee your complete satisfaction!! Please call or email for a free quote today!!! God Brothers and Sisters, Inc.